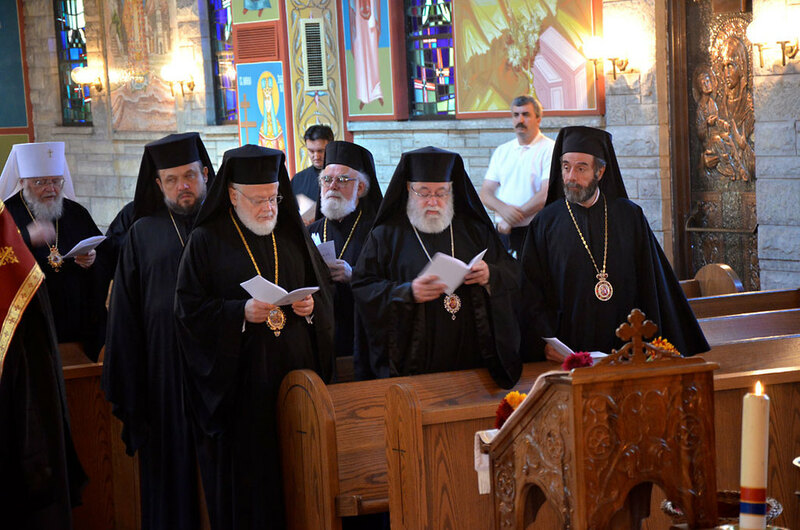 Chicago, IL - The Assembly of Canonical Orthodox Bishops of North and Central America held its third annual meeting for all member hierarchs, that is, all active canonical bishops in its region. The meeting was held from September 10-12, 2012, at the Chicago O'Hare Hilton in Chicago, Illinois. 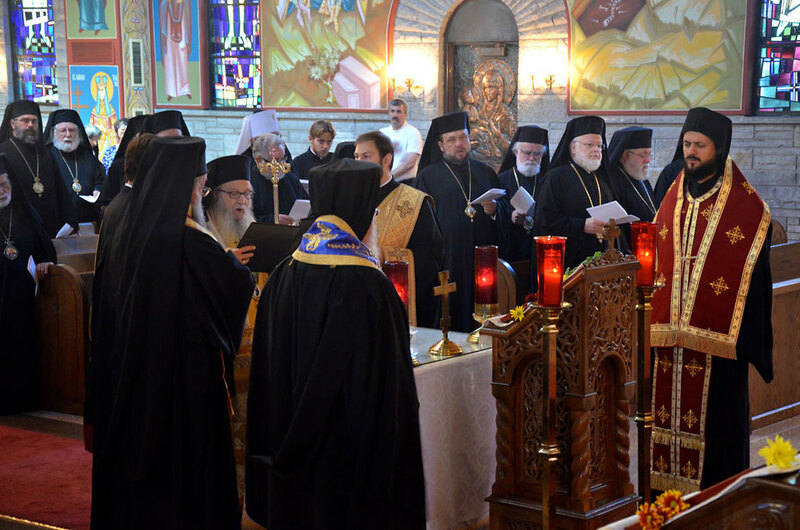 Forty-three bishops were in attendance. The first plenary session opened on Monday morning, and began with prayer, followed by an address to the assembled hierarchs by the Chairman of the Assembly, Demetrios, Archbishop of the Greek Orthodox Archdiocese and Exarch of the Ecumenical Patriarchate (his address will soon be posted on the Assembly website).The Archbishop expressed the sorrow of all present for the loss of Metropolitan Constantine of the Ukrainian Orthodox Church in the U.S., who fell asleep in the Lord since the last meeting of the Assembly. 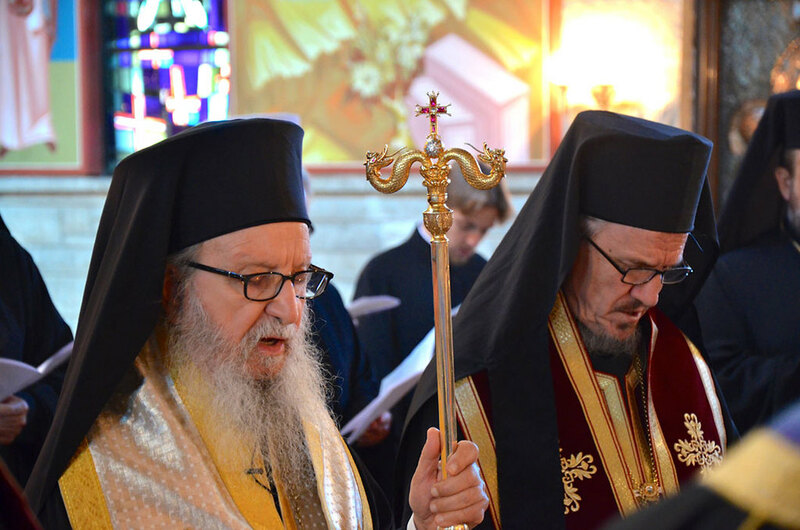 He also noted the absence of two brother bishops who had recently retired, Metropolitan Maximos of Pittsburgh and Metropolitan Jonah of Washington, D.C. 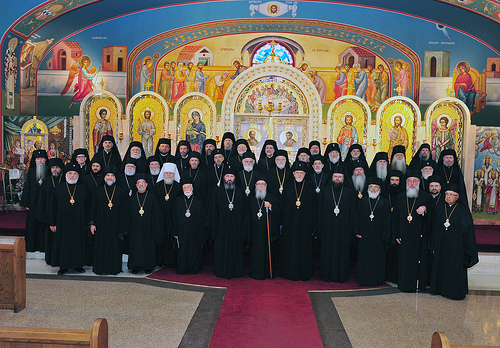 Moreover, he welcomed the new bishops joining the Assembly since May 2011, the time of its last meeting: Bishop Sevastianos of the Greek Orthodox Archdiocese, Bishops Anthony, John, and Nicholas of the Antiochian Archdiocese, Bishop Daniil of the Bulgarian Diocese, Bishop Alexander of the Orthodox Church in America, and the newly-consecrated Bishop Pankratij of the Metropolis of Mexico.